“Hello, Dolly!” opened on Broadway, beginning a run of 2,844 performances. 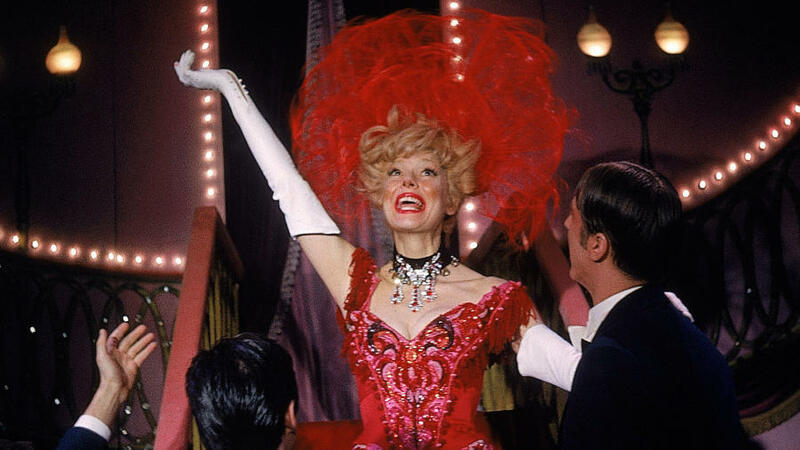 On January 16, 1964, “Hello, Dolly!” starring Carol Channing opened on Broadway at the St. James Theatre. The musical, about a meddling matchmaker and a curmudgeonly “half-a-millionaire” bachelor, sold out instantly. During the Broadway musical’s six-year run, it had critical and popular success, winning 10 Tony Awards at the 18th Annual Tonys. Dolly became Channing’s signature role. However, throughout the show’s original 2,844 performances, many legendary actresses went on to play the legendary part, including Pearl Bailey, Phyllis Diller and Ethel Merman. With lyrics and music by Jerry Herman and the book by Michael Stewart, “Hello, Dolly!” was based on Thornton Wilder’s play, “The Merchant of Yonkers”, which was later rewritten with a more expanded role for Dolly in “The Matchmaker”. The source material for Wilder’s play came from the 1835 play, “A Day Well Spent,” by English writer John Oxenford. The plot revolves around a strong-minded matchmaker, Dolly Gallagher Levi, who travels to Yonkers, NY with the mission of finding a wife for the prickly half-millionaire bachelor, Horace Vandergelder. Although Dolly has promised a suitable match for Horace in New York City, she finds Horace lovable and decides that she wants to be his bride instead. However, before Dolly and Horace end up together at the play’s conclusion, entertaining shenanigans, set to catchy show tunes, ensue. Dolly sabotages her original match for Horace and tricks Horace into dining with her. She also convinces his two store clerks, as well as Horace’s niece and her boyfriend, to come to New York City. The four characters have their own entertaining experiences in the Big Apple. With songs like, “Hello, Dolly!” and “Before The Parade Passes By,” the original cast album was No. 1 on the Billboard Pop Albums chart for seven weeks, which is especially amazing given that it was released when rock music reigned supreme in the 1960s. Thanks to her iconic performance as Dolly, Channing won the Tony Award for Best Actress in a Musical. She famously beat out Barbra Streisand, who was nominated for her performance in “Funny Girl.” In a fun twist, Streisand played Dolly in the film version of “Hello! Dolly” in 1969. A testament to Channing’s immense popularity, the actress became the first celebrity to perform at a Super Bowl halftime show in 1970. Her performance of the “When The Saints Go Marching In” was so popular that she was invited back in 1972. The most recent revival of “Hello, Dolly!” opened on April 20, 2017, at the Shubert Theatre, starring Bette Midler, who won a Tony for the role. You can still see the enduring classic musical on Broadway, now featuring Bernadette Peters as Dolly. This entry was posted in Uncategorized and tagged 16 January, 1964 by Admin2. Bookmark the permalink.